Benefitting the Crohn's and Colitis Foundation of Canada, Whistler Half Marathon , presented by Smartwool is Canada's hottest running event. Be sure to join us for our annual event on the June 1st, 2013 right here in Whistler, located in the beautiful coast mountains of British Columbia. 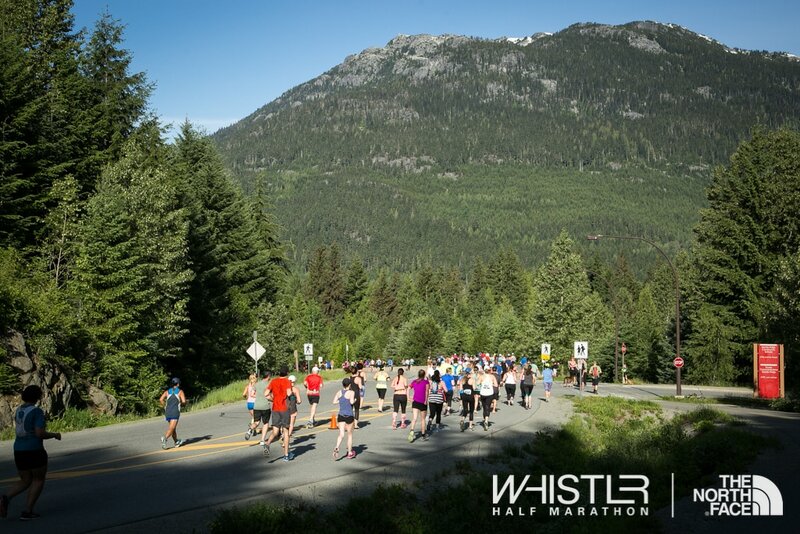 Visit the event website at www.whistlerhalfmarathon.com for more information and to sign up for newsletters. Benefitting the Crohn's and Colitis Foundation of Canada, The Whistler Turkey Trot is Whistler's fun thanksgiving run through he trails of Lost Lake Park. Be sure to join us for our annual event on Thanksgiving Sunday right here in Whistler, located in the beautiful coast mountains of British Columbia. Annually on the first Sunday in October, the North Shore's premier running event will take athletes on a scenic course through West and North Vancouver with amazing views of English Bay, the Lions Gate Bridge, Vancouver's skyline and all with the backdrop of the North Shore Mountains. Run Right Here! Visit the website at www.spirithalfmarathon.com for more information. Benefiting the Crohn's and Colitis Foundation of Canada, taster pass sales at this popular event each summer raise money that goes directly to leading edge research to find a cure for Inflammatory Bowel Disease. Competitors from all over North America converge on Whistler's Creekside base, and Dusty's, for some good old BBQ cooking. $58,000 was raised over the years at this event - something we are very proud of. Featuring some of today's greatest climbers on some of the gnarliest routes on the palnet, Reel Rock 7 is a collection of 2012's greatest climbing films. Showcasing routes from India to Yosemite, from alpine assents to free-solo craziness, Reel Rock 7 was a night to remember. Net proceeds support kids with cancer at BC Children's Hospital. Featuring the Canadian Premier of Clark Little's amazing slide show. See the trailer below and watch for his return to Whistler in 2010. $5300 raised in support of research to find a cure for inflamatory bowel disease. 2 guys on a mission - to ride 24 hours straight - on a stationary bike - on what turned out to be one of the hottest days in Whistler history. A tent in village square was the setting and the residents and guests of Whistler opened their wallets in support of the efforts made. The mercury hit 37 degrees celcius! Over $5000 raised for the Crohns and Colitis Foundation of Canada. Pictures available in the Gallery. One mans solo effort to raise money and awareness for inflamatory bowel disease. Whistler Friends co-founder Dave Clark trained for a year to prepare for the run around Lake Cowichan, BC. Being at the start line prepared to run at 5am, made for a 3am breakfast and warm up - and for one very long day! More than $12,000 raised for the CCFC - enough for the honors of top fundraiser at the event!